Slammed stance. 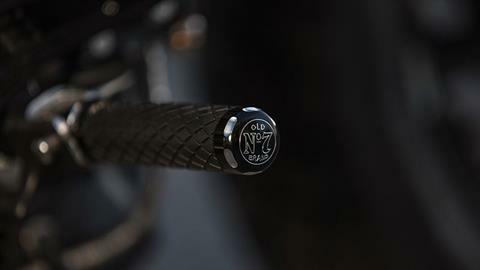 Chopped fenders. 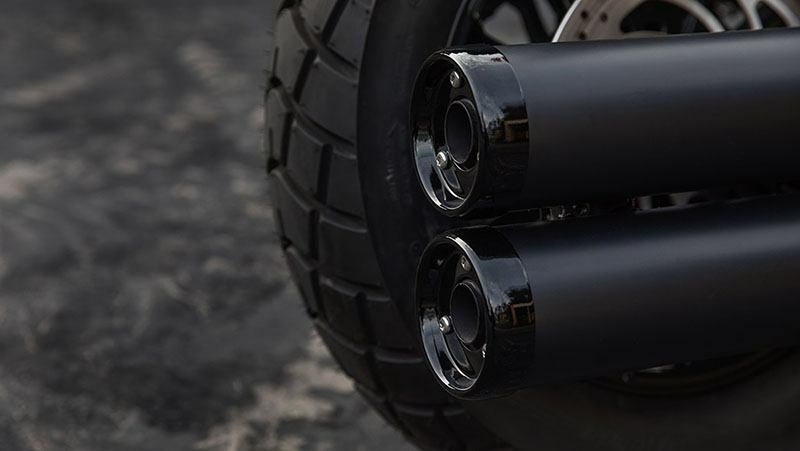 Knobby tires. 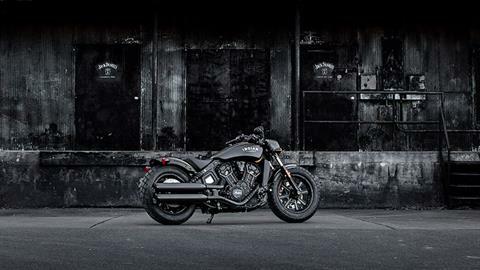 Blacked-out and stripped-down. 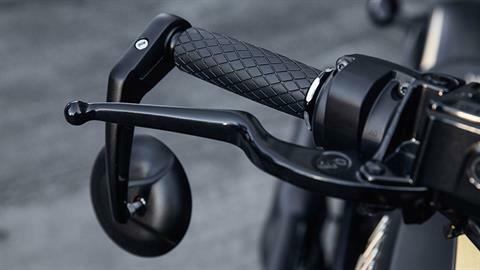 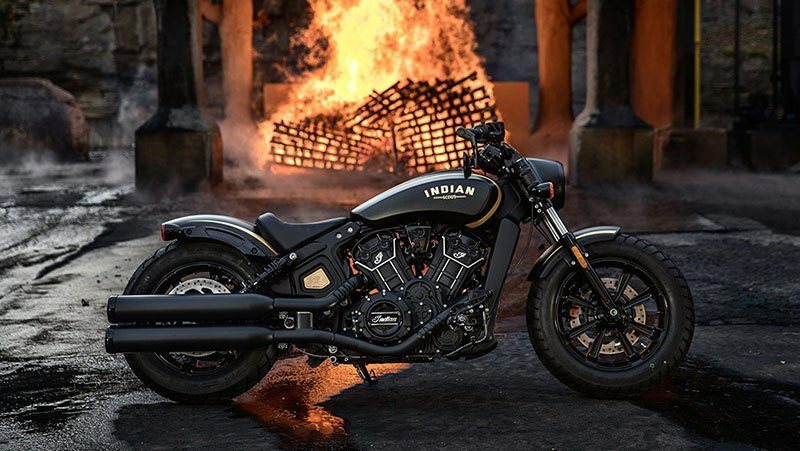 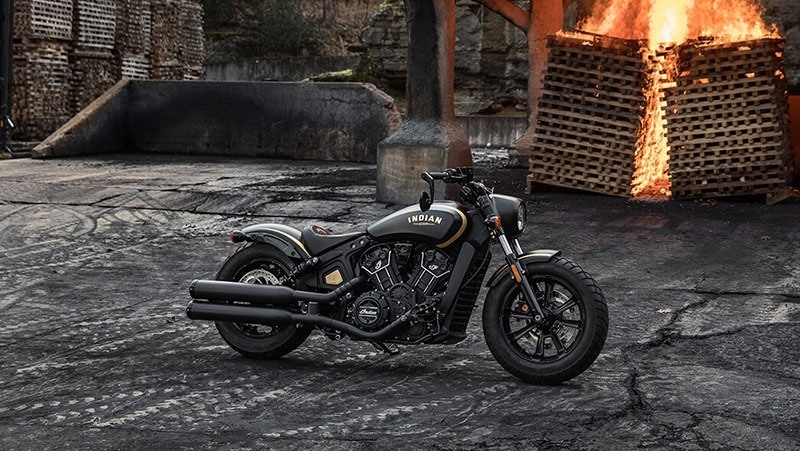 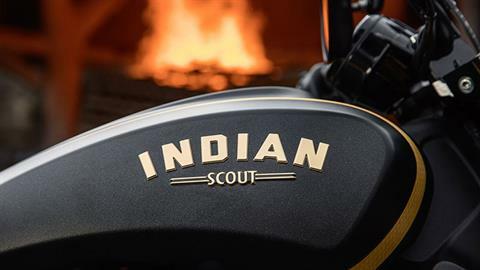 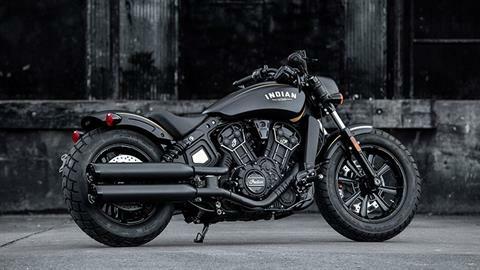 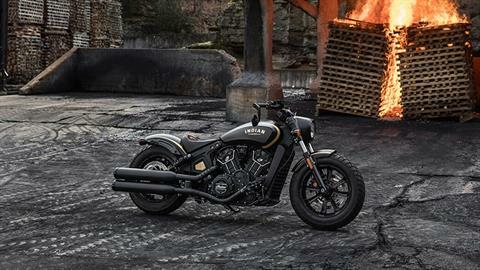 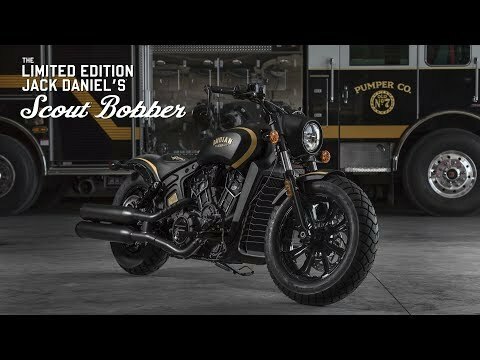 The Scout Bobber is no frills, all attitude. 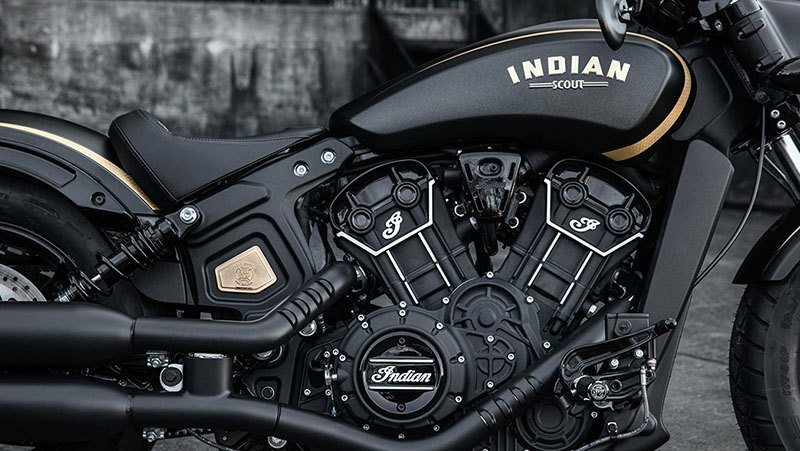 The only place we didn't hold back: the 100 barely-tamed horsepower of a 69-cubic-inch V-Twin. Grab on. Hold fast. 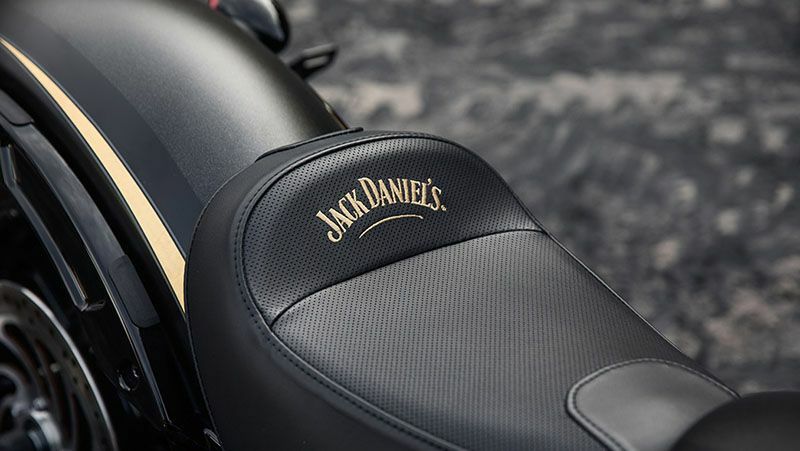 Your legend is just getting started. 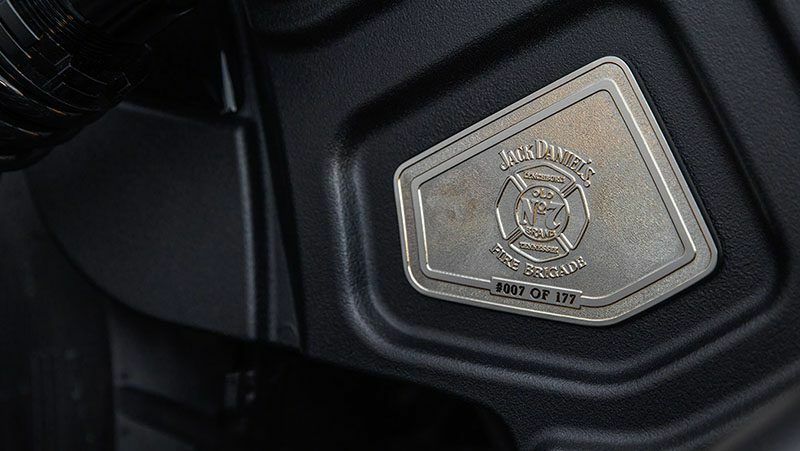 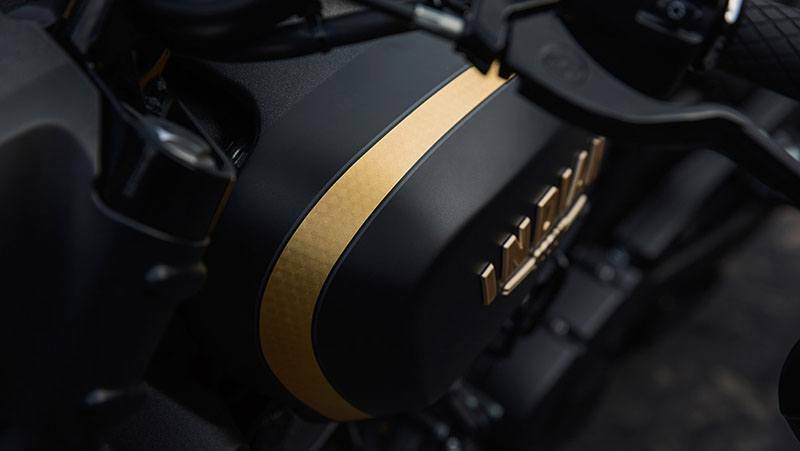 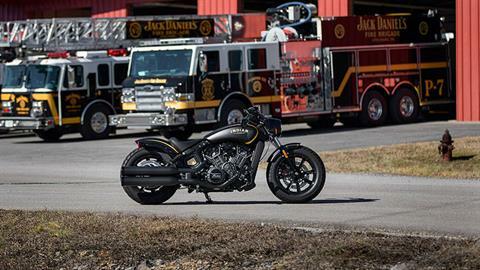 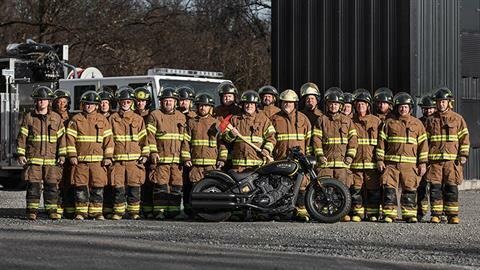 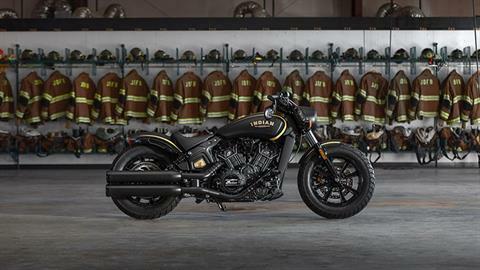 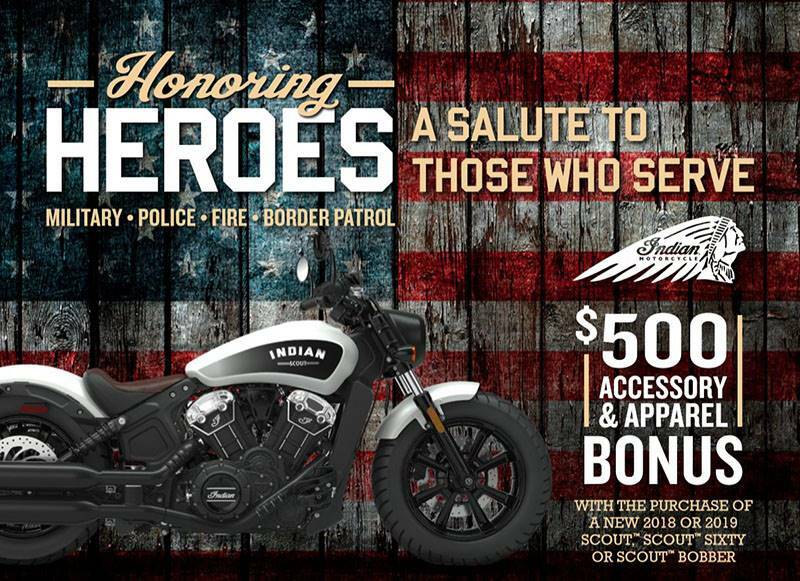 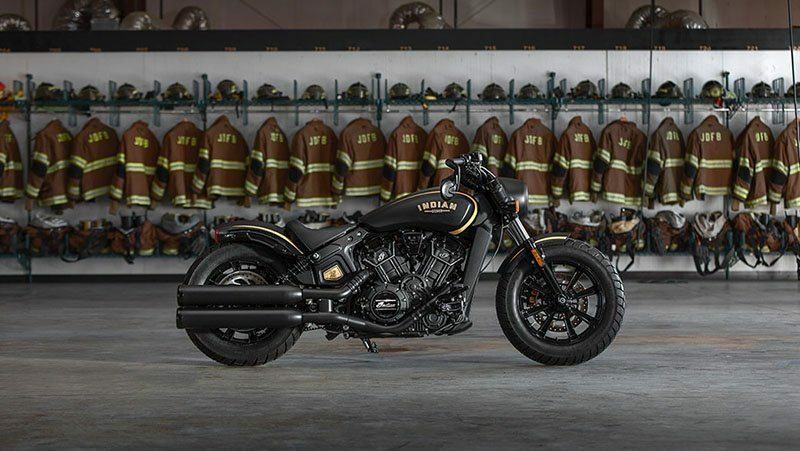 Real 24 karat gold graphics on the tank and fenders, including the Jack Daniel’s® Fire Brigade emblem on the tank and the Jack Daniel’s® “Bottles and Throttles Don’t Mix” reminder on the front fender.